Two posts in the same week? Crazy! For some reason, my productivity level rises as my days get increasingly busier. Why is that? Summer afternoon cocktails with friends is not the most motivating activity, I guess. Oh how I miss those late afternoon pool-side mai-tais. I will count the days until next summer, until then, let's talk about easy, weeknight, crowd pleasing meals. Or we could just drink mai- tais and call for pizza. Tempting. I feel like my oven is rarely turned on over the summer given all of the grilling that takes place! These days it has been putting in overtime and I have some great recipes to share. We had this really simple, kid friendly recipe tonight and we can't stop raving. No, it's not gourmet food but it was SO GOOD! Such a great weeknight meal! Try it! Prep Ahead Plan: Prepare recipe the night before and bake it right before the dinner hour! It freezes well too!!! **Crushed red pepper and parmesan for serving if your family likes it! 1. Brown meat with onion, pepper and garlic. 2. Cook noodles according to package directions and drain. Put back in pot. 3. Mix meat mixture and remaining ingredients in the egg noodle pot. 4. Pour into a greased 9 X 13 baking dish. Cover and refrigerate overnight or bake, uncovered for 30 minutes at 350 degrees. 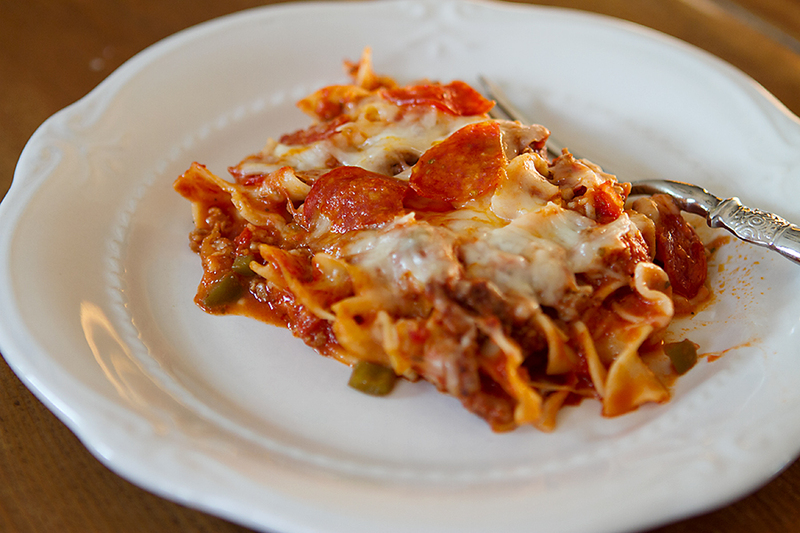 Copyright © PrepAhead and Dine In: Prep Ahead Pizza Casserole. All Rights Reserved.